Rusting Flower is one of a number of digital images I created as part of a series of 3D fractals, some of which can be seen inworld at WU Gallery. Fractal imagery is quite wide spread in Second Life, but once I saw the possiblity of doing something different the temptation to experiment was too much to resist. Like all digital art, software is need to create it, and in this case the software used was Mandelbulber, which is not entirely intuitive and can lead to something of a learning curve. The results for each person will however inevitably be unique. For more information on fractals I have written a post on my WU Gallery blog called Creating 3D Fractals With Mandelbulber. 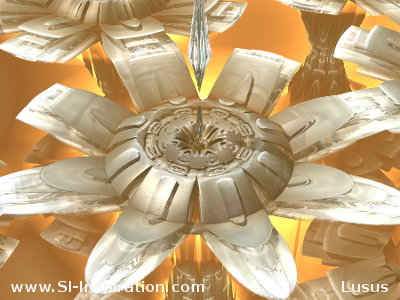 As well as explaining something about fractals there is some useful information and links about the software with an overview of how to get started for those who may want to create their own 3D fractals.